Portsmouth have signed Fulham midfielder Bjorn Helge Riise on loan until 7 November. The 28-year-old, who had been playing with brother John Arne at Craven Cottage, has made 35 appearances for the Premier League side. Pompey manager Steve Cotterill said: "He's a central midfielder who can also play on the right side. "He's energetic, a good footballer and has played 31 times for his country," Cotterill continued. "He played on loan for Sheffield United against us last season and did very well. "We've got several midweek games and we may need to shuffle the pack so he will help us out." 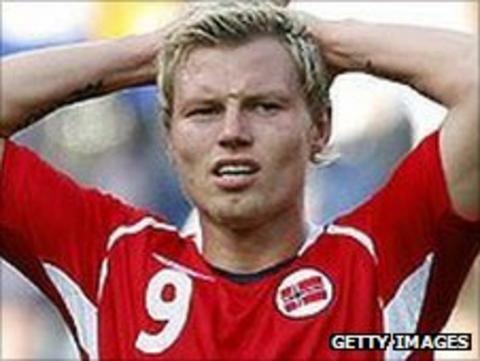 The ex-FC Brussels and Standard Liege player arrived at Fulham in 2009 after spending five years with Lillestrom.